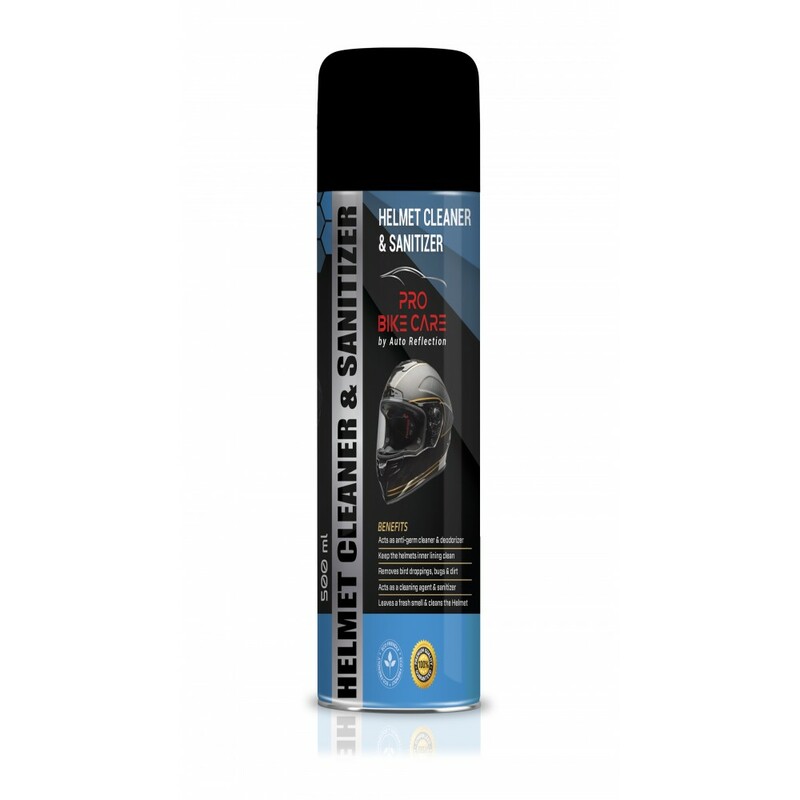 This is efficient foam based biodegradable helmet deodorizer & cleaner. Acts as germ cleaner & stain remover. 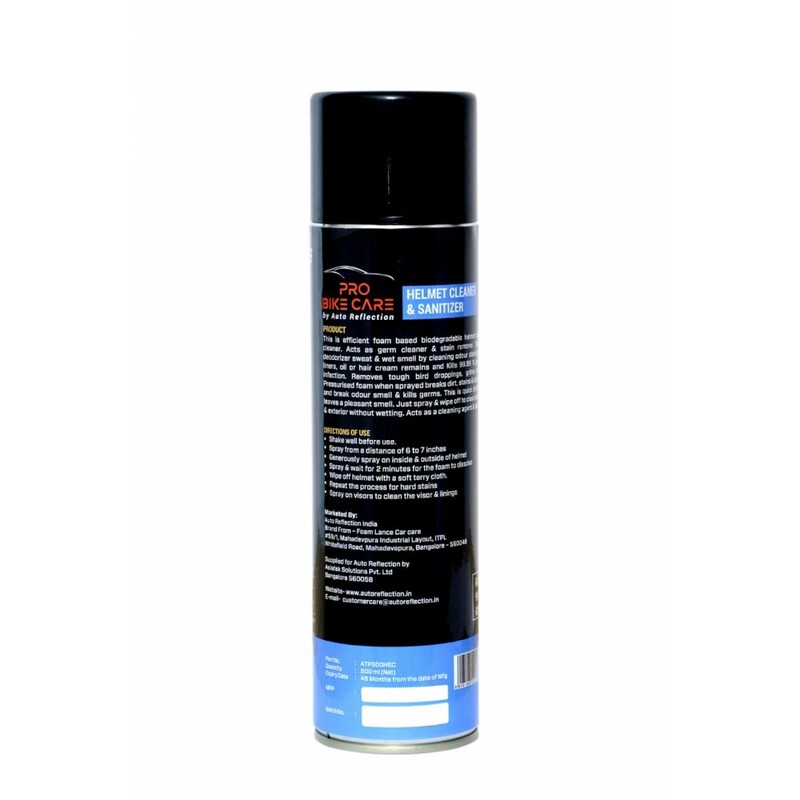 This helps to deodorizer sweat & wet smell by cleaning odour stains, dust, sweat liners, oil or hair cream remains and Kills 99.99 % germ causing infection. Removes tough bird droppings, grime and insects. 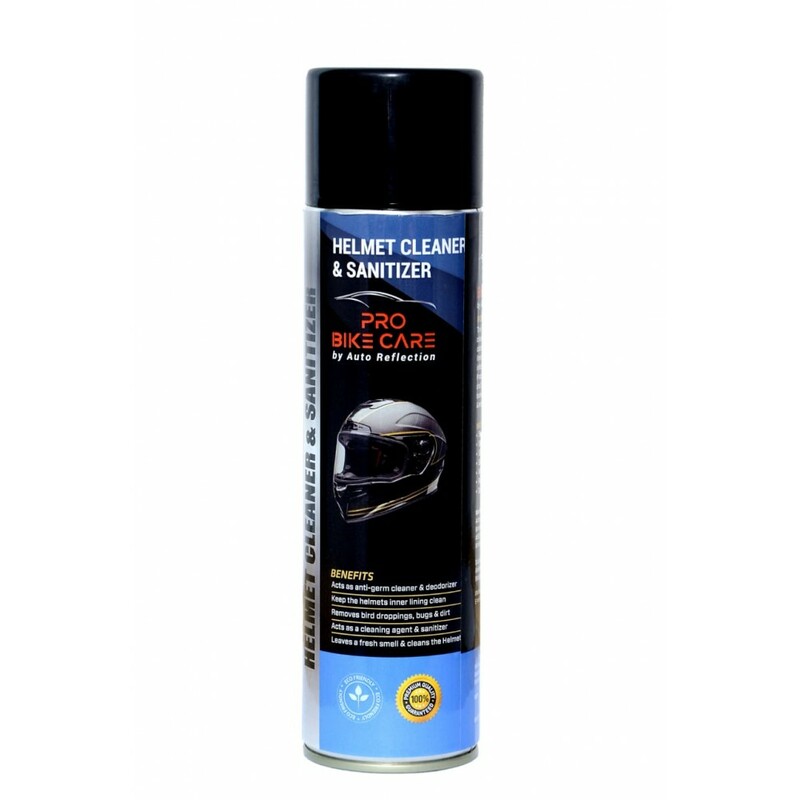 Wipe off helmet with a soft terry cloth.